We live in the generation that is tech-savvy, continuously evolving with the internet and that uses everything to make life simpler. Since the birth of the internet, the world changed drastically, free messaging services were invented, GPS soon followed, internet users could send electronic mails and the quality of life just became a little better. Now, with the knowledge that we have today, knowing how people use the internet and what they use it for, developers have sprung upon any idea that could potentially lead to even the smallest measure of success for applications designed for mobile users. This has caused major competition amongst development companies, which frankly speaking, are ultimately beneficial for mobile users. Apps become cheaper if not free, the storage an app takes on a phone gets smaller version after version and users are open to an entire realm of endless opportunities. The only problem really is the usage of data to download and install these apps without the use of Wi-Fi and the only reason why this happens is when users are unfamiliar with the quality of the app and end up deleting it after all that. But with that one small issue aside, there are some really wonderful and beautifully designed applications that actually improve our day to day lives. Taking a look at the world of technology and what it has to offer mobile users, we have compiled a list of the best Android Applications available on the Play Store for reader’s convenience. Deezer is a music app that is internet based and streams all your favorite music. Listeners are able to create their own playlists, add music to the favorites and listen to any artist they search for. Although the app is free users will find that the only downside to the use of this app is the ads that play after each song. This is a problem that can be quickly solved by paying a minimum monthly subscription fee which also allows the admin users to add other listeners onto their main account. Over 43 million songs are accessible and the database is continuously growing with added music from Sony, Warner Music Group, and Universal Music Group. With over 1 billion downloads it is clear to see that this is a popular application is one that is trending right now. 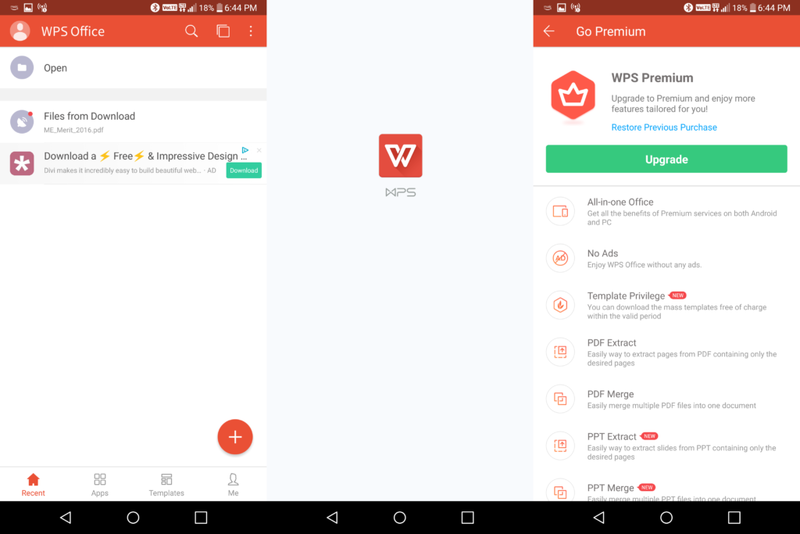 WPS Office + PDF is considered as a “light app” just below 35MB to download. This is surprising due to the integration of all office functions such as Microsoft Word, Excel, PDF, Spreadsheet, Memo and Docs Scanner, Adobe and PowerPoint. The app got a 4.5-star rating out of 5, securely keeping it in the category of best apps. Designed for sports enthusiasts, theScore is an application designed to deliver updates on all your favorite sports games as they happen. Featuring scores, stats and news on almost any sport, the user-friendly application won itself 4.3 stars on Google Play. A ‘must download’ for all parents, Messenger Kids allows parents to control who is on their children’s contact list and messages cannot be deleted. The app allows for safer messaging, video calling and the kids can enjoy additional features such as stickers, GIF’s, frames and emoji. 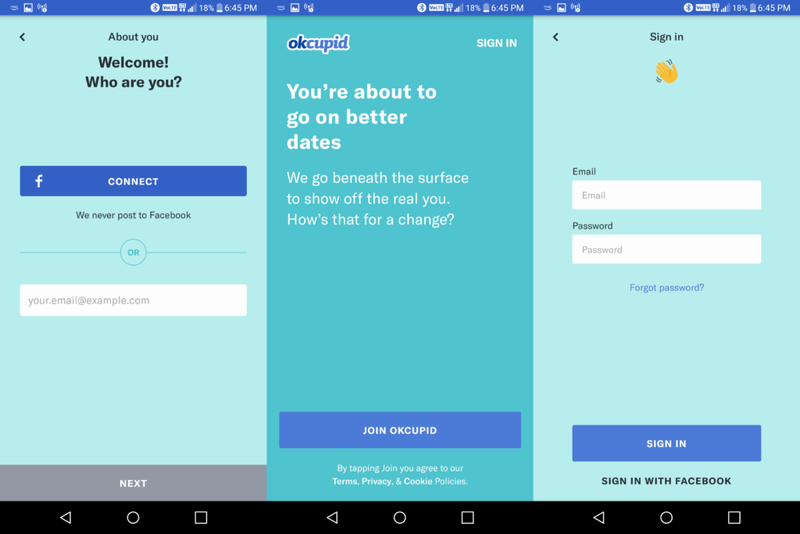 An ideal app for those that are seeking their better halves, OkCupid is ideal for users that have tried Tinder but are looking for something different. The application highlights your interests, formulated algorithms to ask questions which narrow the search for your match down, an integrated messaging system that allows you to connect to your potential life mate and summaries of the people facilitating the dating app. Rated as 4.1 stars OkCupid Dating is at the top of dating app’s right next to Tinder. Comics is an ideal app for comic fans displaying over 100,000 digitized comics, munga, and graphic novels. Although ComiXology charges a subscription fee for the wicked service users are granted a 30-day free trial experience to unlimited content. The app features a download feature, offline reading, Amazon, and Kindle log in and guided view so that readers can enjoy a cinematic option on any one of their devices. This is a brilliant app to pass time and get all your favorite Marvel, DC Comic, and other notorious brands directly to your mobile device. Designed specifically for the blogger on the go, the app developers created a platform where bloggers can network, share ideas and words and learn new tricks of the trade. Receiving a staunch rating of 4.6, any writer would be satisfied with the quality of the app as well as the elegant design that makes operating through it a walk in the park. Only 16MB in size, the app won’t take too much storage on your phone and offers in-app purchases. Medium has had over one million downloads and counting. A major attraction for PC gamers, this brilliantly designed app will attract all those that take preference over PC games rather than console games. Participate in the Steam community and converse with friends within the app, read the latest gaming news and stay up to date with trending news regarding your favorite games. All data is protected by guarded codes, so all personal data is safe and within the community, players can choose from a list of available games to play at their convenience. Losing weight never gets old and developers have fast caught on. With MyFitnessPal users are able to track their calorie intake, scan barcodes to log foods, import recipes, log menu items from your favorite restaurants, and track all nutrients such as natural fats, proteins and more. In order to lose weight, water plays an essential role, so developers made room for water tracking and reminders to keep it clean. Users are able to set goals and keep track of them or users can opt for the pp to set a personalized goal that may be easier to maintain. With every diet plan, there should be an exercise plan which MyFitnessPal provides through a portal on the app that allows users to track their steps and maintain a healthy gym regime. There are over 350 exercises to choose from, users are able to connect health trackers to the app and support is readily available for those that need the motivation. In-app purchases are available to those that are serious about losing weight or maintaining a healthy lifestyle otherwise the app is free with the exception of a few ads here and there. Scoring a whopping 4.6 stars, it’s easy to see why this app is so popular and a major trend for this year. With so many more apps to choose, including those not in the Play Store, from it is easy to see why there have been so many life-changing ones that have yet to be discovered. For every mood, taste or preference there is an equally matched application that has been designed specifically for these partialities. The year promises to deliver many more new trending applications, including the hottest one, casino games. Users can look forward to, and if you haven’t found your ideal application already, you are bound to in the upcoming years where technology and the internet meet and change your world. Previous articleBitcoin Forks Explained: What are They & Why they Happen?